Not because it would be cruel to kill her, but because it would be wasted workforce! The manhua is boring. Too much explanation on machines and technical terms. Oh cmon! Just google the name + “novel”. Even a monkey can do that. 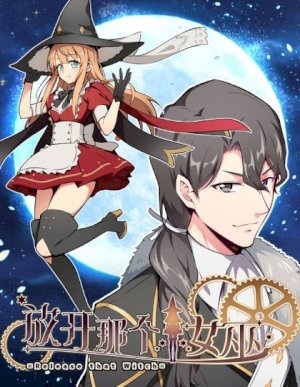 btw the translated novel version of this is on web novel and chapters are in the hundreds there. Although the translation quality is bit rough for the first few chapters it gets much better. The novel is much better then this trash. It only started and they already screwed up several things. From the look of things they are desperately trying to appeal to a younger audience. Anna is a totally different person here, she went full anime. Honestly do yourselves a favor, just read the lightnovel, the feeling and impression you get is totally different. I hope they don’t screw the adaptation…the novel is very good literary piece. Let me just say this; if they do the novel justice, this could become one of the best works out there.. If we consider that it looks more like a comedy already, than a drama. And that they even got the mc’s hair color wrong, I don’t really see them making the novel “justice” anytime soon lol. Don’t mind me, I’m just here waiting for some FAT PIGEON drawings. Novel is awesome, i hope they make a good comic of it !